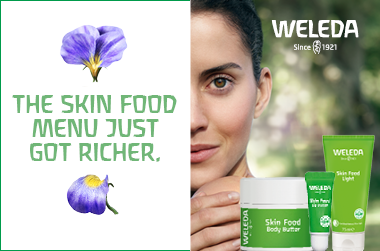 The focus on natural and organic ingredients and finished products has earned Weleda the NATRUE certification. Weleda&apos;s ethically, socially, and environmentally responsible processing and fair trade practices have earned accreditation by the Union for Ethical BioTrade. Weleda has developed eco-friendly product lines to gently cleanse and care for all skin and hair types: shampoos, shower gels, shaving needs, deodorants, and moisturisers. The brand&apos;s expansive line of cleansers, toners, lotions, serums, masks, and shaving products includes items for sensitive, mature, and normal/combination skin. I received a sample of this cream in one of my orders and thought I would give this a go. I hadn&apos;t found the perfect moisturiser for my skin (I have sensitive skin that gets irritated quite easily) but when I tried this first on my neck for two nights It was amazing! I don&apos;t particularly like strong fragrances especially when it comes to night time routine but... the smell is absolutely delicious, natural and definitely no where near over powering as others. It was really nice to fall asleep with this smell. The cream itself was not oily in fact after I put it on it felt like I didn&apos;t have anything on at all it was only until you touched it. Lastly and most importantly, I am prone to wrinkle lines on my neck and after two days of use i can see them smoothening out. Don&apos;t get me wrong, they&apos;re still there (it&apos;s only been 2 days) but to see even a slight difference already is a winner for me. Smell/fragrance tick, cream texture tick, results, so far tick!